MANATEC is glad to announce that it has won “INNOVATION FINALIST AWARD” for its JUMBO 3D – Worlds 1st 3D Wheel Aligner for Multi Axle Trucks, Buses & Trailers. 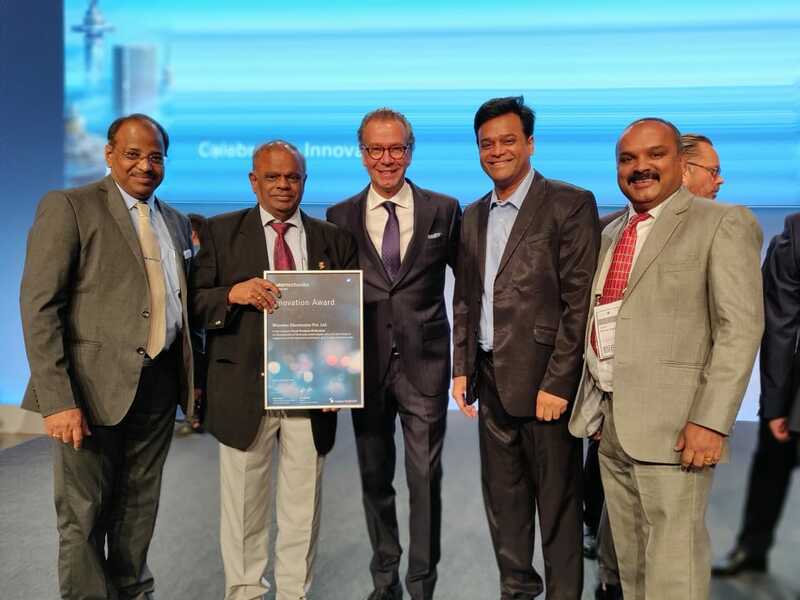 The award was presented in a glittering ceremony held at Automechanika Frankfurt, Germany on 11th September 2018 to our CHAIRMAN Mr. R. MANANATHAN (holding the Award). GOVERNMENT OF INDIA REGIONAL AWARD FOR EXPORTS!! MANATEC is glad to announce that its EXPORTS DIVISION has been awarded “STAR PERFORMER AWARD” on Regional level for the Year 2015 – 16 by renowned Engineering Export Promotion Council of INDIA (EEPC INDIA). 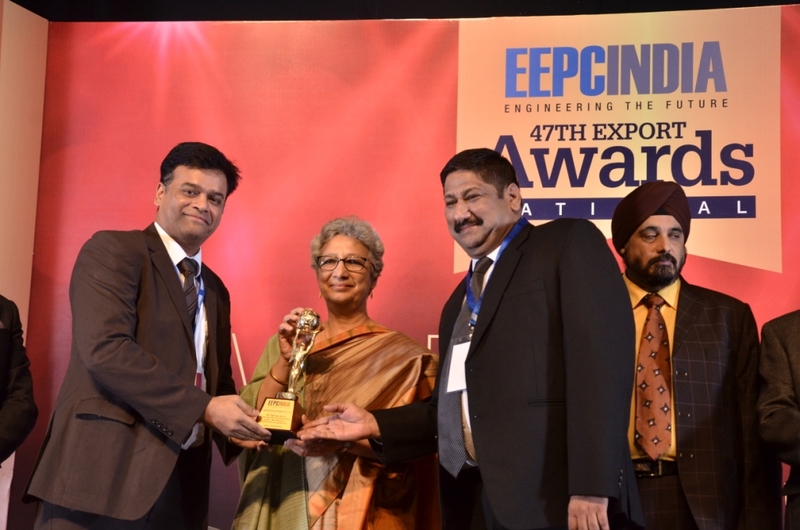 This is the 11th consecutive Award for MANATEC from EEPC INDIA. The awards were given away in a glittering ceremony held at Trivandrum, Kerala on 25th October 2017. Honorable Minister of Industries, Sports & Youth Affairs, Mr.A.C.Moideen presented the award to Mr. M. Kalaiichelvan, Managing Director, MANATEC group. 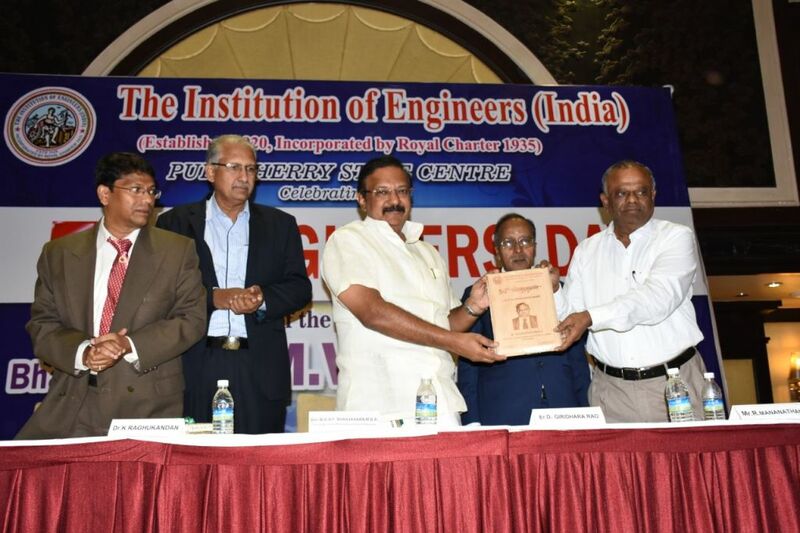 MANATEC is glad to announce that our respected CHAIRMAN has been honoured with “LIFE TIME ACHIEVEMENT AWARD“ by THE INSTITUTION OF ENGINEERS (INDIA) for his contribution to the Indian Industry, on the occasion of 50th ENGINEERS DAY. THE INSTITUTION OF ENGINEERS (INDIA) is a statutory body to promote and advance the engineering and technology. It was established in 1920 and incorporated by Royal Charter in 1935. The award was presented in a glittering ceremony held at Pondicherry on 24th September 2017. Honorable Revenue Minister of Pondicherry, Mr. MOH. SHAHJAHAN presented the award to our CHAIRMAN Mr. R. MANANATHAN (on the extreme right). Manatec bags “TRiLA – Company of the year” Award, 3rd time in a row !! Manatec has received “TRiLA – Company of the year” award, third time in a row under Tire Service Equipment category, for its contribution to the tyre and rubber industry. 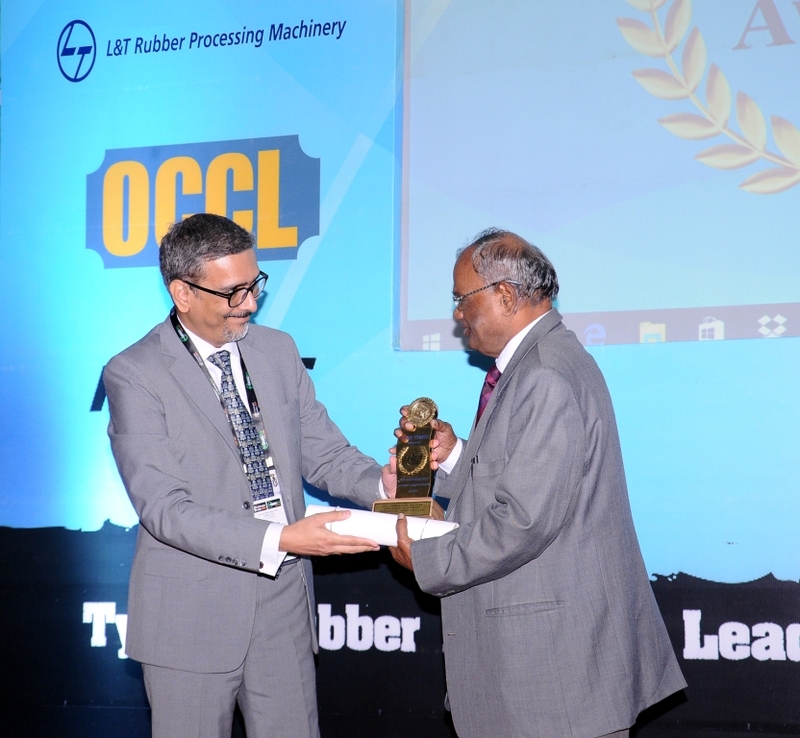 TRiLA is the acronym for “Tyre & Rubber industries Leadership Award”. The award is constituted by the leading e-magazine “Tyre Times” to bring performers to the forefront by recognizing their talent, achievement, excellence & quality products from the Tyre and associated industries in India. The award was presented to our CHAIRMAN Mr. Mananathan (on the right) by Mr.Pramesh Arya, Head of Marketing, Apollo Tyres – Asia Pacific , Middle East & Africa (APMEA) region, at a glittering ceremony held at Tyre Expo , 12th July 2017, Chennai Trade Center, India. MANATEC is glad to announce that it has bagged the NATIONAL AWARD for QUALITY from the Ministry of MSME, Govt of India, in recognition of Manufacturing Quality products. The awards was given away in a glittering ceremony held at New Delhi on 27th June 2017. 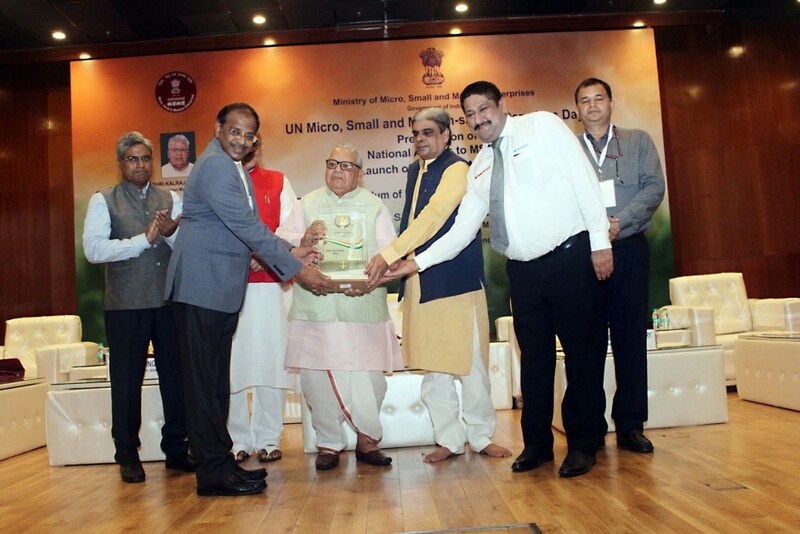 Honorable Cabinet Minister of MSME, Sri.Kalraj Mishra, presented the award to Mr. S. Vijayaragavan, Director, MANATEC group. We take this opportunity to thank every one of you for the continuous patronage and support towards this achievement. MANATEC’s 30th Anniversary Grand Celebration!! 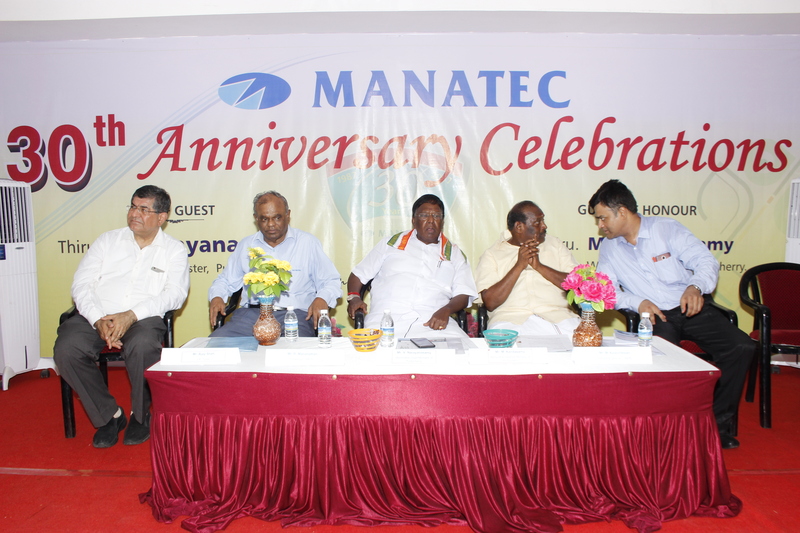 MANATEC’s 30th Anniversary Grand Celebration at our factory premises on 07-May-2017 was Felicitated by Honorable CHIEF MINISTER, Pondicherry Mr.Narayanasamy & WELFARE MINISTER Mr.Kandasamy and The Guest of Honor as Mr.Ajoy Shay from JK Tyres. It was a Wonderful day of Corporate Business event in the morning in which various special achievements of the employees were recognized and awards distributed by the Chief Guests. In the Evening the Celebration ended with family get together of all employees. MANATEC CELEBRATES 30 GLORIOUS YEARS OF PRIDE, PASSION & INNOVATION !! CORPORATES – For Acknowledging our Products through approvals. CUSTOMERS – For their Loyalty & Patronage for past 3 decades. SUPPLIERS – For continuously supporting us with quality Components & Raw materials. MEDIA – For establishing wide reach of our company and products. 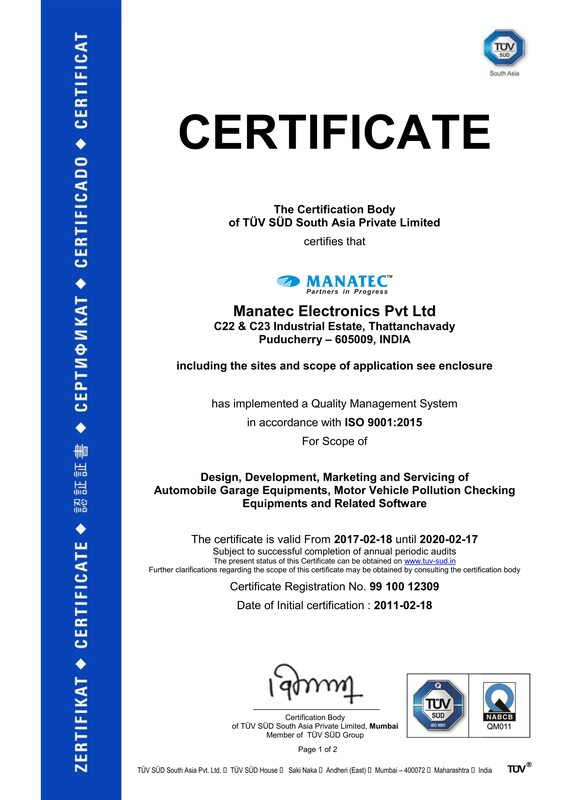 MANATEC migrates to ISO 9001:2015!! MANATEC is proud to announce that it has migrated from ISO 9001:2008 to ISO 9001:2015 complying with the latest Quality standards. The certification was conducted in accordance with the TÜV SUD auditing and certification procedures and is subject to regular surveillance audits. As a Research & Development company, MANATEC has been operating under the guidelines of ISO standards for nearly 2 decades. MANATEC BAGS GOVERNMENT OF INDIA AWARD FOR EXPORTS!! MANATEC is glad to announce that its EXPORTS DIVISION has been awarded “STAR PERFORMER AWARD” for the Year 2014 – 15 by renowned Engineering Export Promotion Council of INDIA (EEPC INDIA). 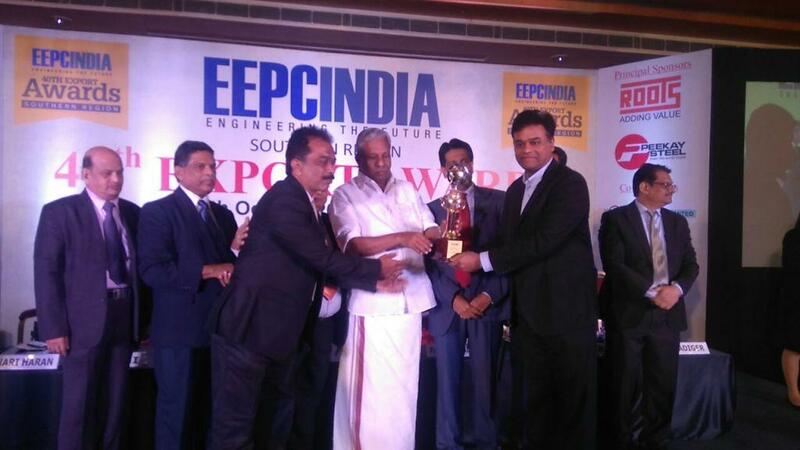 This is the “10th consecutive award” for MANATEC from EEPC INDIA. The awards were given away in a glittering ceremony held at The hotel Sunway Manor, Pondicherry on 3rd March 2017. 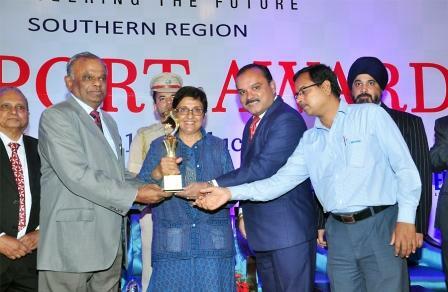 Honorable Lt.Governor of Pondicherry Dr.KIRAN BEDI, presented the award to Mr.R.MANANATHAN, CHAIRMAN, MANATEC group. MANATEC BAGS GOVERNMENT OF INDIA NATIONAL AWARD FOR EXPORTS!! MANATEC is glad to announce that its EXPORTS DIVISION has been awarded “STAR PERFORMER AWARD” on National Level for the Year 2014 – 15 by renowned Engineering Export Promotion Council of INDIA (EEPC INDIA). This is the 1st NATIONAL AWARD for MANATEC from EEPC INDIA. The awards were given away in a glittering ceremony held at Kamani Auditorium, New Delhi on 13th December 2016. Honorable Secretary, Union Ministry of Commerce & Industry Ms Rita Teaotia presented the award to Mr. M. Kalaiichelvan, Managing Director, MANATEC group.